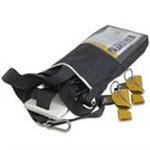 ATN MASTCLIMBER, Bosun's chair you can use alone. No need for an assistant to hoist you up the mast. This Mast climber can take you to the Top of the mast where you can stand up to see the mast head. MastClimbers are easy to use. 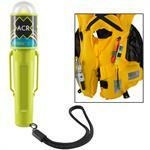 ACR Personal Strobe Light manual or water activated Personal small size always with you. great for other applications also like in your car, or on your bike.